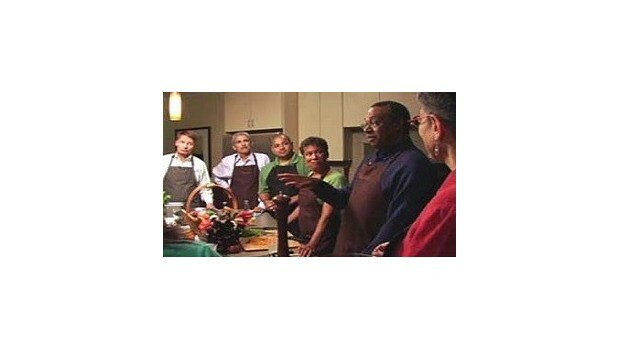 What happens when eight fascinating people with experience successfully navigating challenging or stressful situations at work come together to cook a meal? Insights fly along with the food in Don't Panic! A Recipe for Success in Times of Stress. In this entertaining and thoughtful video, cooking serves as a metaphor for working through a challenge together. After the flames die down, the participants enjoy the meal they've created and explore insights gleaned from their dialogue. Know Yourself - Know what you know, what you don't know, and the difference between these. Self-awareness is critical to successfully navigating challenges. Build Support - Develop a network of people you trust and who trust you both inside and outside your organization. Don't be afraid to ask for feedback and support. Assess Your Situation - Realistically assess the situation you face. Filter noise and rumors from reliable information. Step back and interrogate Reality. Take Action - Don't be immobilized by fear. Be resilient in the face of a setback. Remember you always have options and that hope trumps fear. Look for opportunities in a crisis or difficult situation and pursue them. Learn from Everything - Look for learning opportunities even in what may appear as bad news. Every Shadow has a light source. Find it. Learning is the ultimate benefit from a challenging situation.